The 46-year-old has long held affinity for the Mummers—Philly’s beloved New Year’s Day Parade revelers. This is thanks, in large part, to his former membership in the Avalon and Quaker City string bands and present participation with Bill McIntyre’s Shooting Stars. Given the various groups’ penchant for pageantry, it makes sense that sendoffs would have numerous eye-catching components. 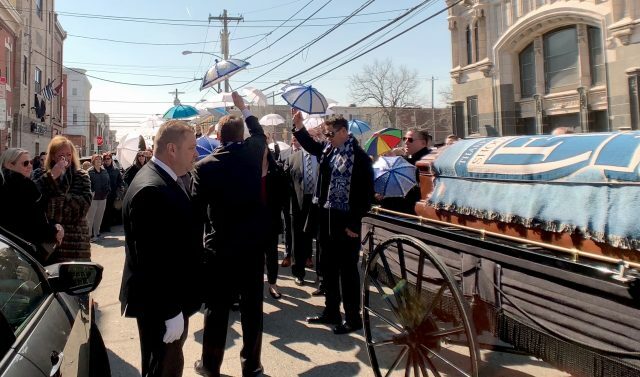 Since his first Mummers-centric funeral in 2002, Donnelly has enjoyed being an integral presence behind such ornate displays, particularly since he assumed his present role six years ago. Brian Donnelly, in white gloves, stands at attention amid mourners. 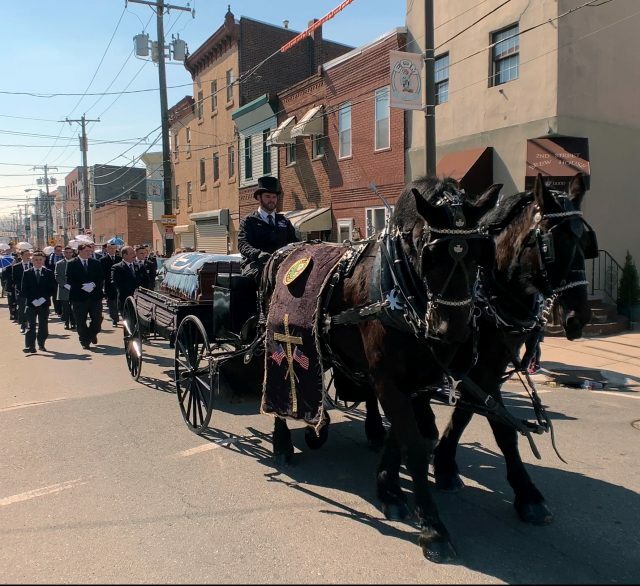 These treks throughout South Philly’s streets might not make as many headlines as the interesting takes on solemnity that New Orleans jazz-heavy funerals garner, but the local nods to immortal Mummers certainly have more of a familial feel to them. Each see-you-on-the-other-side valediction resonates with Donnelly, but three in particular standout. Mourners do a Mummers dance. 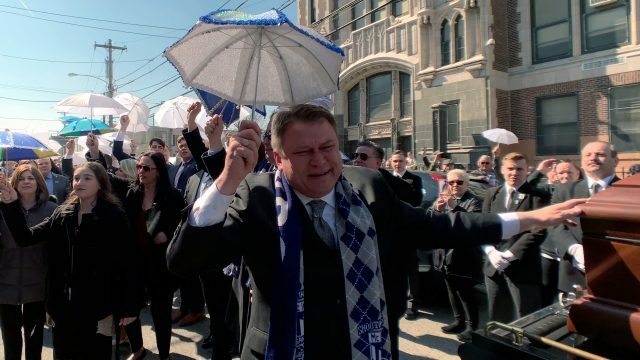 Many, many moons from now, when he himself leaves this life for the next, Donnelly has said he wants “to go big” with a Mummers funeral, finding that a perfect way to thank the various groups for their effect on his life. 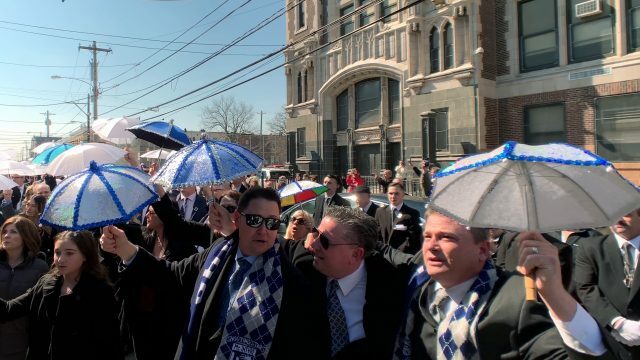 Scott McIntyre joins the procession at his father Fran’s funeral.